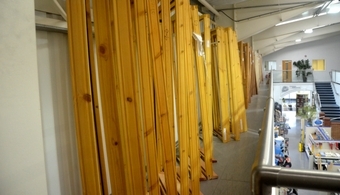 All our Sydenhams branches stock or can source an extensive range of doors and frames, depending on your requirements. If you want moulded, feature or bi-fold doors - with a huge range of internal or external, we can help. Please speak to your local branch to find out more information and they will be happy to talk through your requirements to ensure we can find the perfect solution for you. If you need something to finish off your doors then please take a look at our Door Ironmongery section. 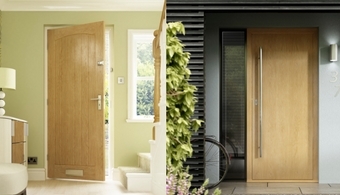 These doors bring together cutting edge technology and an unrivalled collection of stylish finishes. They are created by engineering real veneers into a consistent grain and consistent colour that still allows for natural variation within the doors. Each style has its own individual personality to ensure they are never identical. 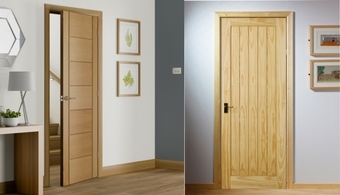 Also available from XL Joinery & LPD we offer a range of internal feature Timber doors. Whether its traditional or contemporary Oak, Shaker or Pine we have a range of styles to suit any type of furnishing. We also offer glazed options and double door sets, ask in branch for details. 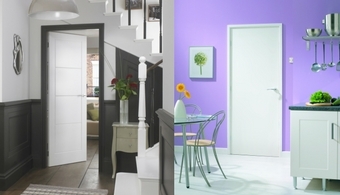 We offer a huge range of premium and traditional interior moulded doors available in an array of styles. The range also includes a selection of glazed options. Our paint grade door is ideal for basic applications offering a timber veneered face surface ready for preperation, site priming and paint decoration. For more information on styles and sizes then please do contact your local branch and they will be happy to help! We can offer a huge range of external feature doors, with a range of styles. We offer a range of patio and bi-fold doorsets from leading door suppliers. They are a great way to open up space and let in valuable light which can make such a difference to your home. We can offer patio and bi-fold doors in a range of styles, finishes and sizes to suit your requirements so please contact your local branch than they will be happy to assist. We can offer an all encompassing range of exterior timber door frames through our suppliers, supplied in quality selected softwood, with or without hardwood cills. We offer our exterior door frames weather stripped and supplied 'honey' stained.